Richmond Hill is a ritzy suburb located north of Toronto approximately 45 minutes from the downtown core. Whether you're visiting or living there, Richmond Hill offers shopping, dining and lodging of all types to match every visitor's taste. From outdoor plazas to shopping centres, fast food to elegant restaurants and motels to luxury suite hotels, Richmond Hill is a place where everyone will feel right at home. For over 18 years, Babylon Productions has been servicing Richmond Hill, Ontario, for many of it's Wedding Photography, Wedding Videography, Wedding DJ Services, Wedding Limo Services, Wedding Invitations, Wedding Cakes, Wedding Florist, Wedding Decor, Live Musicians, and wedding planning needs. We have been offering impeccable service to our Richmond Hill clients for a long time, and with the beautiful waterfront and picturesque scenery, wedding photos taken in Richmond Hill are sure to be a delight to the eye of the beholder! The city of Richmond Hill is a growing community, and a great place to not only raise your family, but to have your special day as well! Aside from picturesque scenery and gorgeous wedding photo shoot locations. Richmond Hill also has its own annual wedding show! Babylon Productions has been providing the best Wedding Photography and Wedding Videography services in Richmond Hill for many years, and we believe that if there is anyone you should trust in making your wedding experience the most memorable one it should be us. We are extremely experienced in anticipating beautiful moments that bridal couples would love to have captured in their pictures and videos in Richmond Hill. We are also capable of providing you with the best wedding DJ services; but not only that, we can help you with your wedding inivations, your wedding cake, as well as making sure you have professionals entertaining you and your guests in Richmond Hill. Babylon Productions have as many services for your wedding in Richmond Hill. We have anything you need to help your wedding get better than perfect! We want you to walk out with a big smile on your way out! Celebrate your wedding in Richmond Hill and have a wonderful most memorable day! 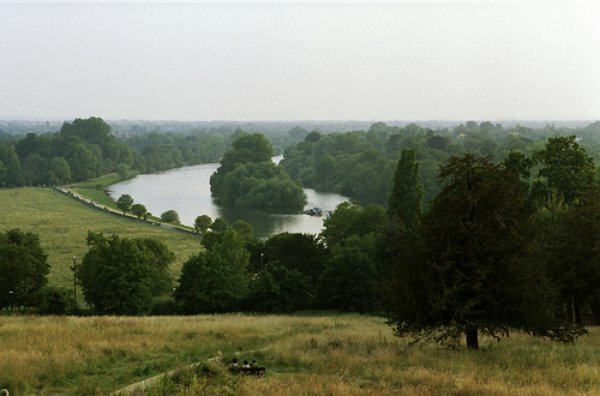 Richmond Hill is a large place, with many wedding venues to offer. To help narrow your selection, we have listed several of Richmond Hill's local wedding venues. Just another way for Babylon to help make your day a little easier. » Richmond Hill Golf and Country Club located at 8905 Bathurst Street seats 50-300. This elegant venue will be a treat to you and your guests. » Premiere Ballroom & Convention Centre located at 9019 Leslie Street is ideal for large wedding parties, can hold up to 1200 and boasts 27, 000 square ft.
» The Summit Golf and Country Club located at 11901 Yonge St can accommodate up to 150. This park-like setting has a gorgeous view that would be perfect in your wedding photos! It can be hard to find that perfect outdoor background for your wedding photos. Since you have so much to worry about, we did some of the research. Another way to show we care here at Babylon. » Mill Pond Park located near Regents St is a lovely scenic spot for your outdoor wedding photos. » Pioneer Park near Major Mackenzie Dr. hosts a calm body of water that is nice for that serene look in your wedding photos. » The Observatory Park located near the David Dunlap Observatory. » Grist Mill Park near Kersey Cres, a tiny yet picturesque park with rolling hills and trees dotting the landscape. We can help with it all at Babylon Productions! We have been in the wedding business for over 25 years, and we know you expect only the best on your special day! We can co-ordinate the limousines, the entertainment, the wedding photographers and wedding videographers, and leave you with only one number to contact for a stress free day! Instead of having to call four different people to co-ordinate your day properly, you need to only call one, and let the person on the other end take care of your wedding needs. Trust the best in the wedding and wedding photography business. Trust Babylon.